Beatrice Colleen Opel, 91, of Frostburg, MD and formerly of Longstretch, died Friday, April 05, 2019, at Goodwill Mennonite Home, Grantsville, MD. Born November 14, 1927, in Garrett Co., MD, she was the daughter of the late Julius and Pearl (Crowe) Wilhelm. She was also preceded in death by her husband, Earl Edward Opel; one sister, Agnes Carey; one half-brother, Lester Hunter; one granddaughter, Candy Sue Opel; and one great-granddaughter, Elizabeth Magruder. Beatrice and her husband, Earl, owned and operated The Long Stretch Market. She was a member of the Mt. Zion United Methodist Church, United Methodist Women, a Church Board Member, and the Homemaker’s Club. 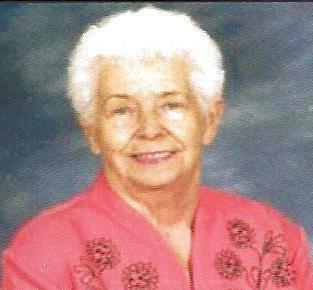 She was a lifetime member of the Eastern Garrett Co. Firemen’s Ladies Auxiliary. She is survived by three sons, Dale (Rose) Opel, David (Dottie) Opel and Bruce Opel; six grandchildren, Jesse (Lisa) Opel, Lori (Jimmy) Magruder, David (Brandi) Opel, Brandon Opel, Jason Opel and Justin Opel; nine great-grandchildren, Emily and Alexis Opel, Madilynn and Molly Magruder, Tiffany, Devon and Drew Opel, Adalyn and Kyra Opel. The family would like to give a special thank you to Dr. Naeem and the staff of The Goodwill Mennonite Home for the excellent care given to their mother. Friends will be received at the Mt. Zion United Methodist Church on Sunday, April 7, 2019 from 1-3 p.m. Funeral services will follow in the church at 3:00 p.m. with the Rev. Dan Agnew officiating. Interment will be in the Mt. Zion Cemetery. Expressions of sympathy may be directed to the Mt. Zion United Methodist Church, c/o Lois Rowe, 2693 Old Frostburg Rd., Frostburg, MD 21532.